Contest is now closed, I will be announcing the winner in a moment. I want these books quite badly. Great combination of these two books for the contest this week! These books make a great prize - I'd love to win! If I won these Id probably cry because I never win anything! Id give one to my mom whos battling Stage 4 cancer! The other Id keep for myself. Thank you for doing this giveaway! Both look like my favourite kind of non-fiction books. It would be so awesome to have a set of signed books from you. Thank you for the opportunity. Thanks for adding these books to the contest! I would love to win them! I so want this set. I love your posts, such a great & innovative idea. Thanks for the opportunity to win this set. P.S. I also collect cookbooks! I would love to have these books, Thanks for the chance! I'd like those - old recipes are awesome. Thanks! Your giveaways are always so cool. Thanks for the chance. One of my all-time favorite things to find in a book sale is an old cookbook with hand-written recipes tucked inside. What a brilliant idea for a book! What a great giveaway... I would love to win!!!! Wishing so hard right now. Thanks for another chance to win these! Throwing my name in the pot! Excellent giveaway! I look forward to these every week, and keep up the great work! I would love to win these. Thank you for doing the giveaway! I would love to win. These books look wonderful. 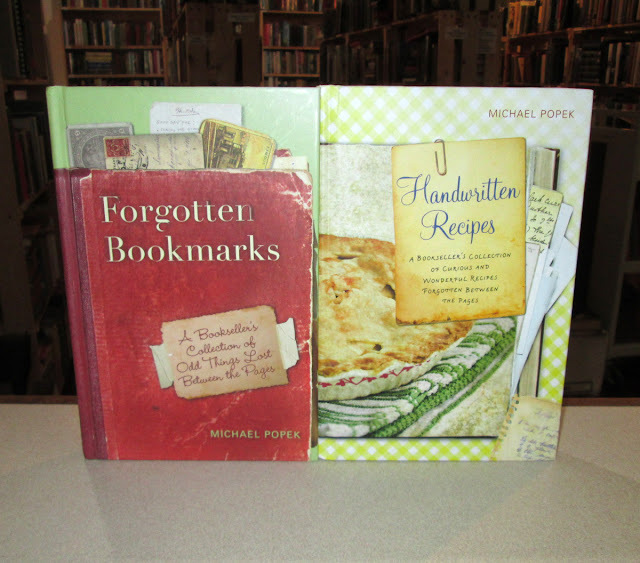 Thanks to the opportunity to learn more about Michael Popek's Books. You had me at recipes 😁 Great gives. Thank you. Just curious, how will you contact the winner? If you enter here on the site, I will check your blogger profile for an email or a blog where I can get a hold of you. You can always contact me as well, via the email link posted above.